The book truly shines whenever Brimstone's on the page. The action looks great and his design is so good, though I truly have no idea what went on at the end. I forget this book exists until I receive the review copy. Then memories from the past begin to flood in, and am I again acquainted with the characters and story. It's a mostly mediocre experience. Some of these New Age books are trying to achieve so much in the shortest amount of time possible. This book may be the worst example of it, however. 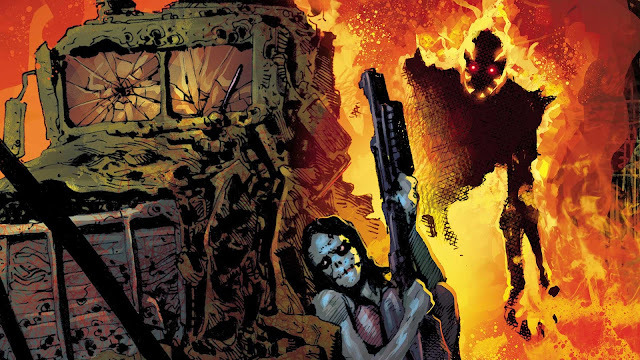 Months and months of character development and world-building are crammed into three issues. Characters die and no emotions are felt, and some moments just make no sense because the creators don't spend enough time fleshing out the story and the villains. It all reads as rushed, and that's my major complaint with this issue. 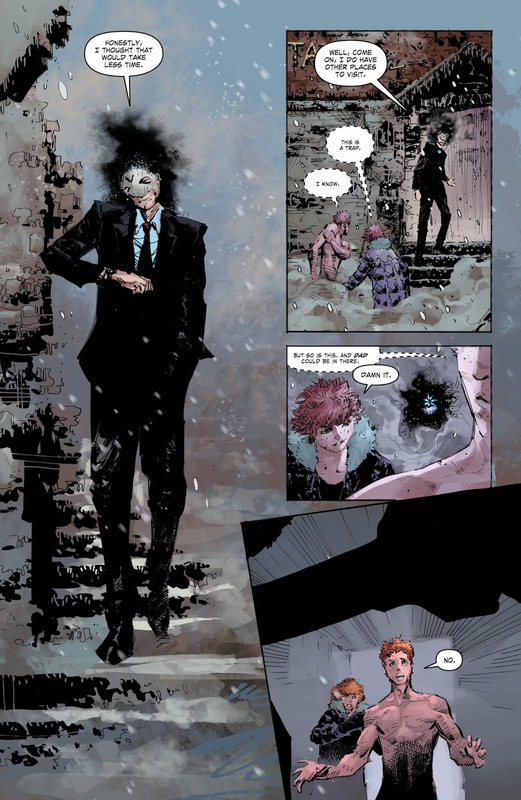 Remember that awesome cliffhanger from the last issue? The fight teased between Brimstone and the House? Well, in typical New Age fashion, we skip over it and witness the immediate aftermath. Joe's sister, Annie, runs over the Hound and takes Joe with her as they try and escape the frost demon. From this point on the story just becomes painfully generic. The Salesman has Joe and Annie's dad hostage, and the Salesman just regurgitates threats about the Home Office and all that nonsense. There's a generic dialogue exchange where the Salesman wants Joe to reach his true potential, and I was just mostly bored while reading this. Not much interesting happens from this point on, so I'm ending the spoiler talk here. This series, and this issue, in particular, feels like it's trying to complete a series of checklists instead of telling a story with a smooth, natural progression. It's as if the REAL story that the team wanted to tell awaits us in the next issue, but they felt like they had to slog through a boring origin to get to tell it. 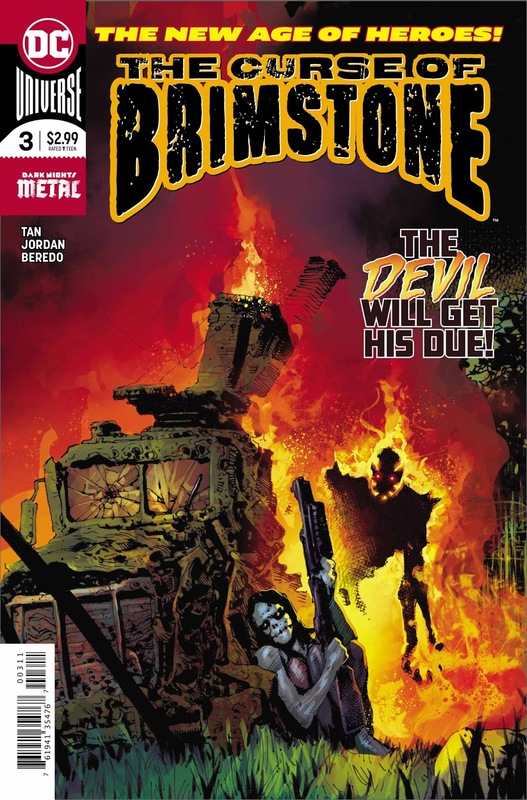 With a brand-new character like Brimstone, I wonder why they didn't take the creative risk and instead began with the more interesting story, as they slowly unfold his boring origin over the course of a couple arcs. It's more economical to me because I genuinely don't know how long this series is going to last. Jordan and Tan may never get to tell the real story they wanted if they continue telling it at this pace. I've made it known before that Tan's art really shines whenever Brimstone appears, and this is true of this issue as well. 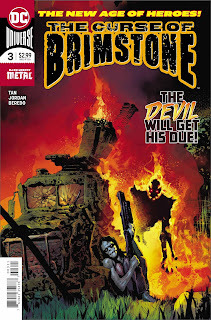 Brimstone is just such a fresh presence because the rest of the book looks so boring and drab, and he kicks some energy onto the reader's face. Jordan also scripts the character differently than Joe so he truly feels like a different character. 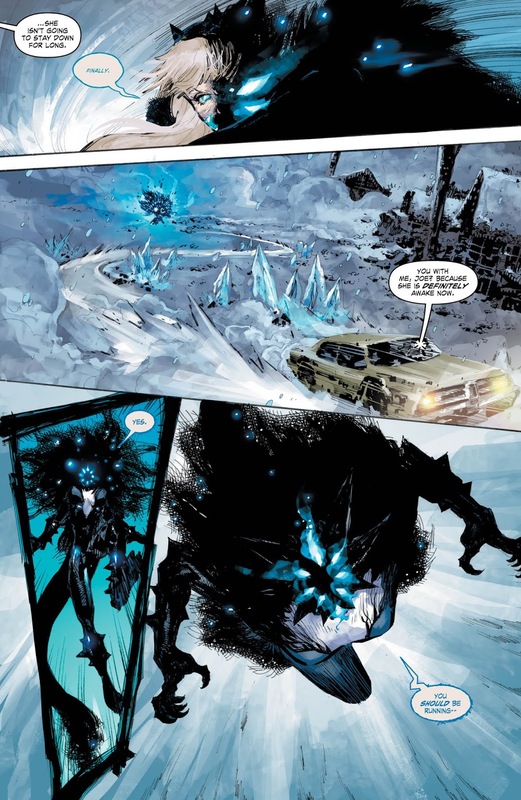 Other than that, the storytelling itself is mostly strong despite not knowing what the hell was going on during the last few pages of this issue. This is simply an unremarkable and mediocre story. The plot isn't very interesting and the execution just seems massively rushed to me. The art can be really great but Tan doesn't do anything exciting other than his awesome depiction of Brimstone.